Handcrafted cheese board with knife. 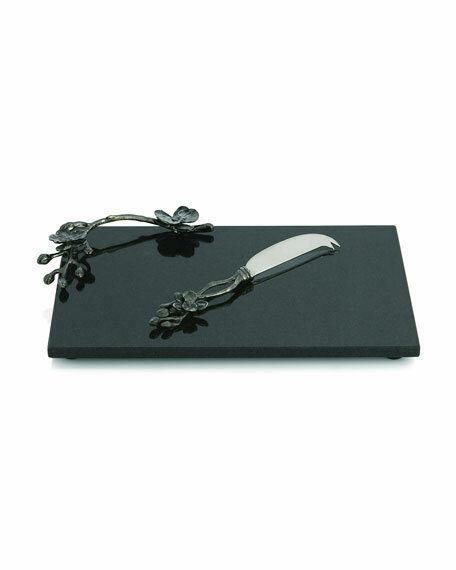 Cheese board, 12.5"L x 8.25"W x 1.5"T; knife, 8.5"L.
Granite cheese board with black nickel-plated metal accent; stainless steel knife with black nickel-plated metal handle. Due to the nature of handcrafting, no two are exactly alike.